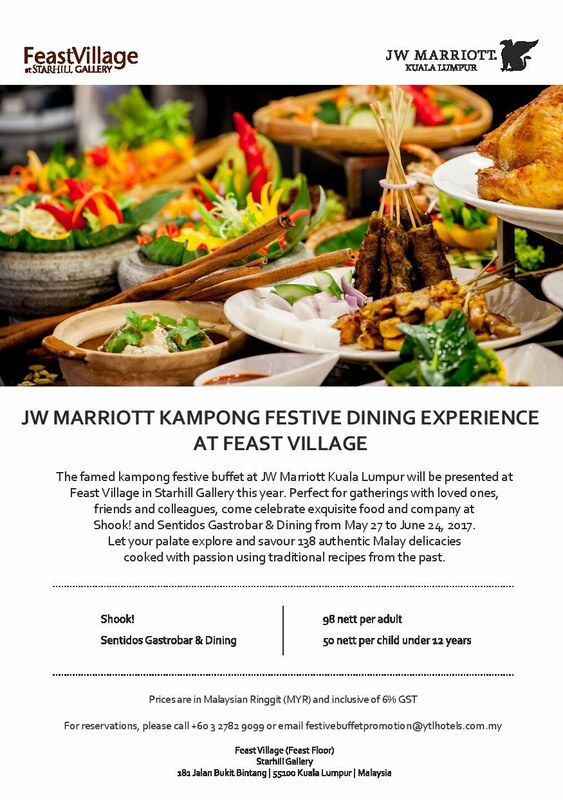 With the holy month around the corner, JW Marriott Kuala Lumpur is bringing back its famed Kampong Festive Dining Buffet to be presented at Feast Village in Starhill Gallery this year. Held at the acclaimed Shook! 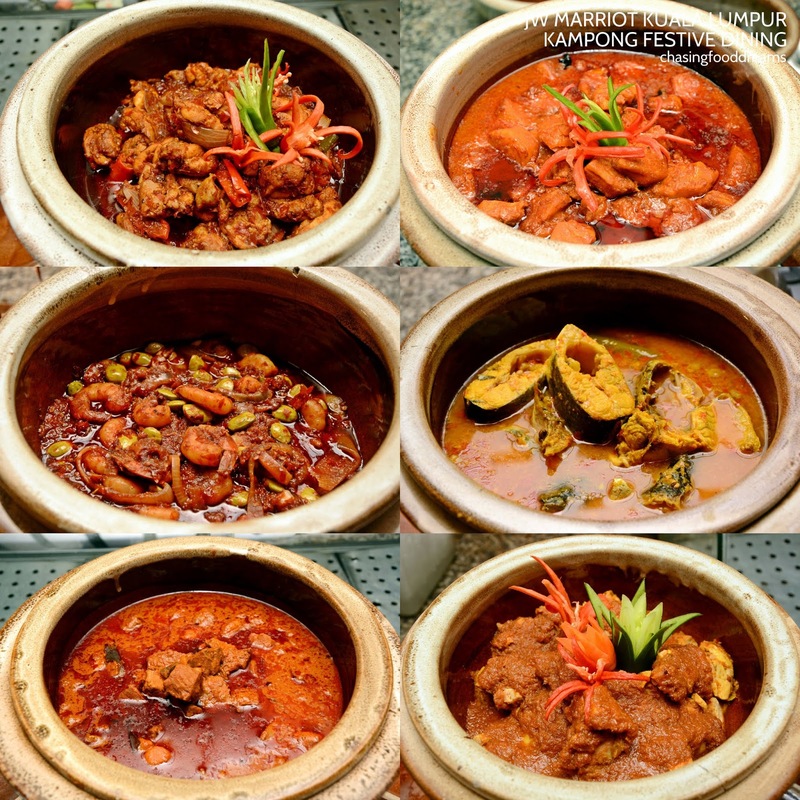 and Sentidos Gastrobar & Dining, both located in Feast Village, diners are in for a sumptuous feast of Malaysia’s melting pot of cuisines set in a kampong ambiance. 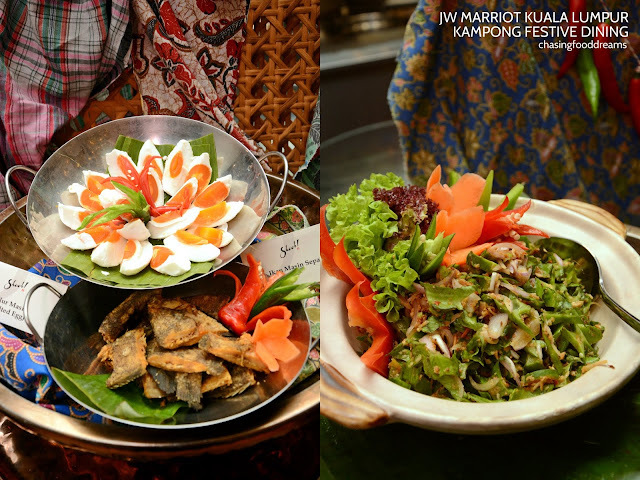 Get ready to feast on a kaleidoscope of dishes prepared by Executive Chef Zaffar Samad and his culinary team. 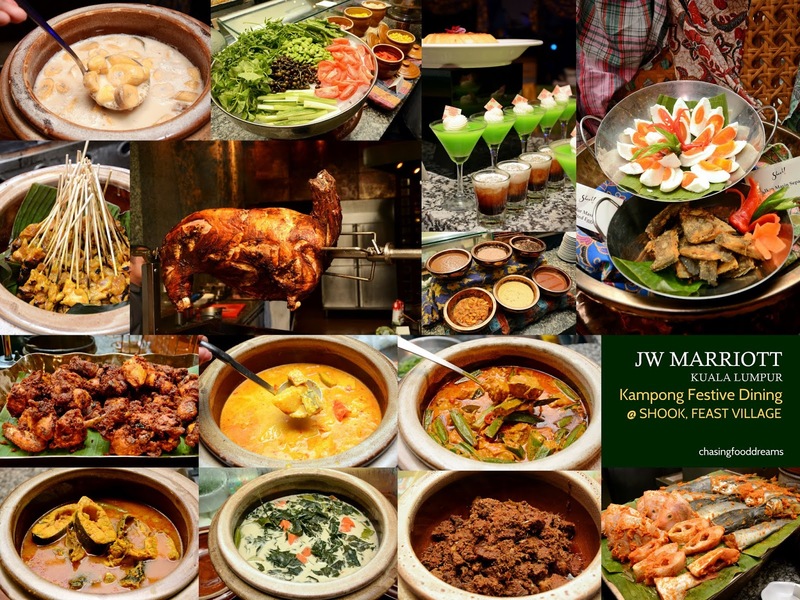 Savor a menu that ranges from mouthwatering kerabu salads, Bubur Lambuk, spiced up soups, curries to rendangs and more as well as sweet treats and savory snacks, all inspired by grandma’s recipes. 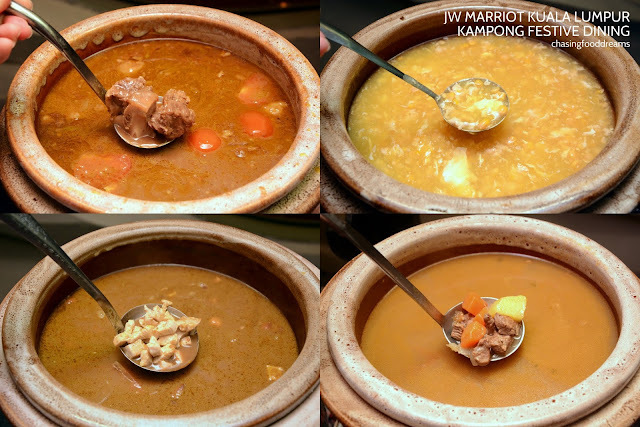 Start the feast with succulent Kambing Panggang or Slow Roasted Lamb served with black pepper, onion and mint sauces. 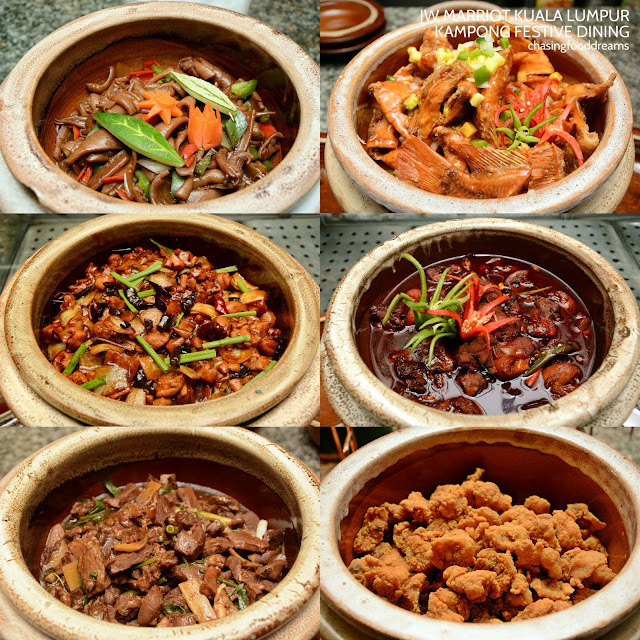 Succulent pieces of lamb that is so tender and tasty with its marinade of spices and herbs. Visit the Ikan Bakar station for array of Talapia, Ikan Keli, Ikan Cencaru and more grilled and served with Sambal Belachan, Sambal Kicap and Air Asam. 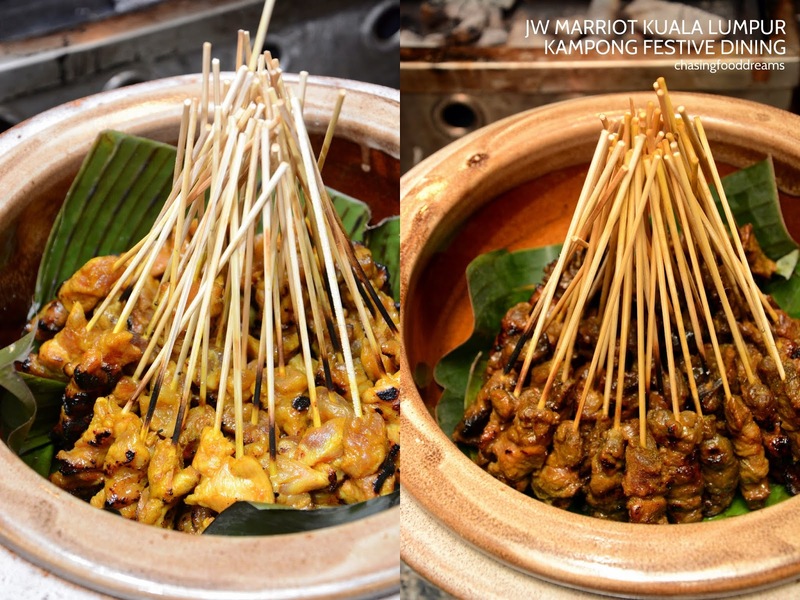 Ayam Goreng Berempah is simply sedap! Ulam-Ulaman and its assorted Sambal Melayu together with the assorted Kerabu and Jeruk Buah-Buahan are bound to be an explosion of scrumptious flavours to whet the appetite! 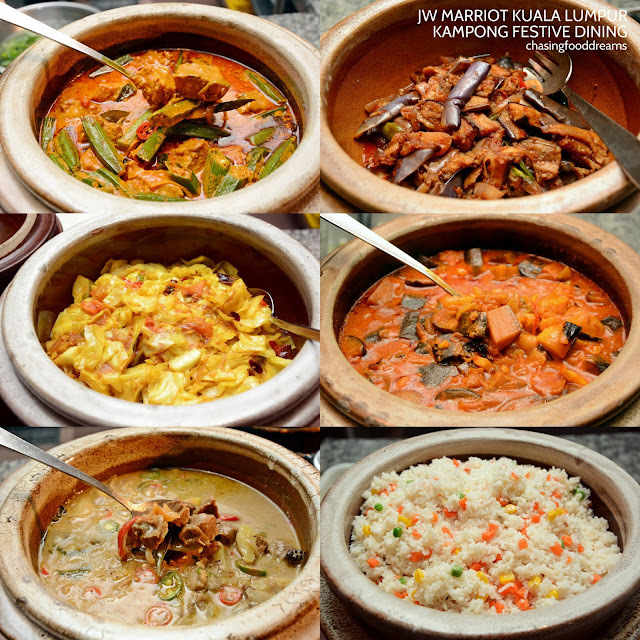 Curries, warmed pots of curries never fail to be a crowd pleaser during this festive season. Enjoy this list of authentic Malay dishes from Gerai Makanan Tradisi Dan Selera Kampung as well as other cuisines of Chinese and Indian. Hot soups are a great way to settle the tummy after a long day of fasting and there’s quite a delicious list of Sup Ekor, Sup Ayam, Sup Kambing, Mushroom Soup as well as Chicken & Sweet Corn Soup and more on rotation. 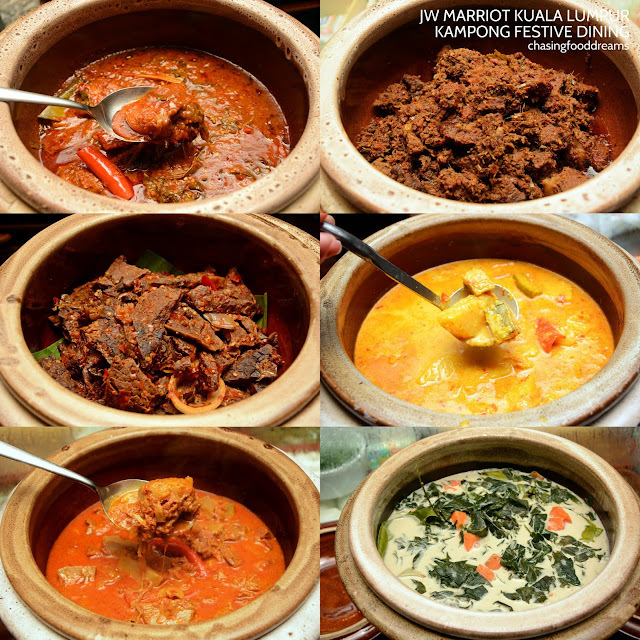 Don’t forget the Bubur Lambuk! Desserts are a must for a sweet ending. 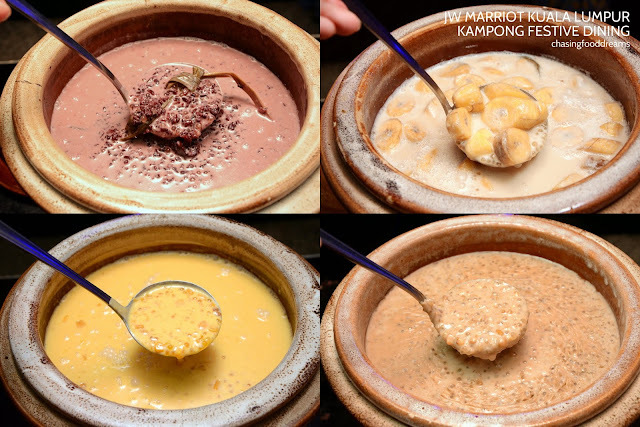 From Ais Kacang station to the Bubur Manis station, there’s lots to choose from cold and refreshing Ice Kacang to hot Bubur Pulut Hitam, Bubur Kacang Hijau, Bubur Jagung and Pengat Pisang. 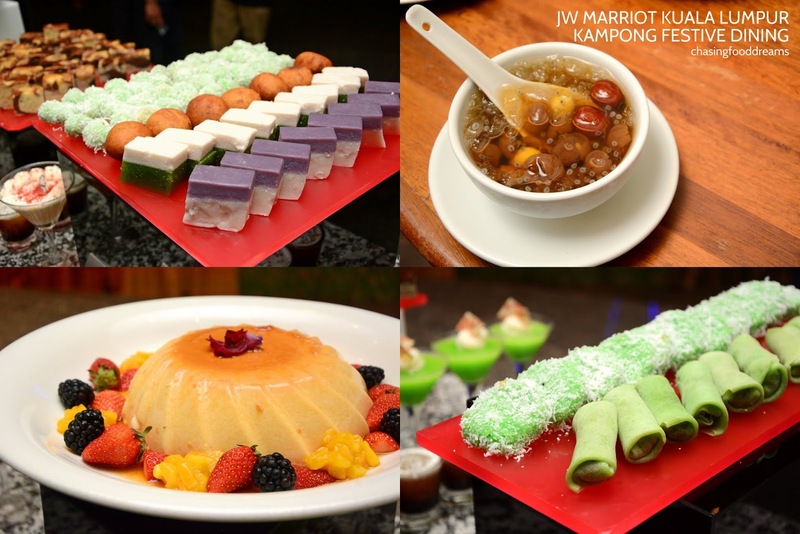 Get your sweet tooth fix from the list of desserts which includes Assorted Kuih Muih to international cakes, puddings, French pastries, ice creams and fruit station. 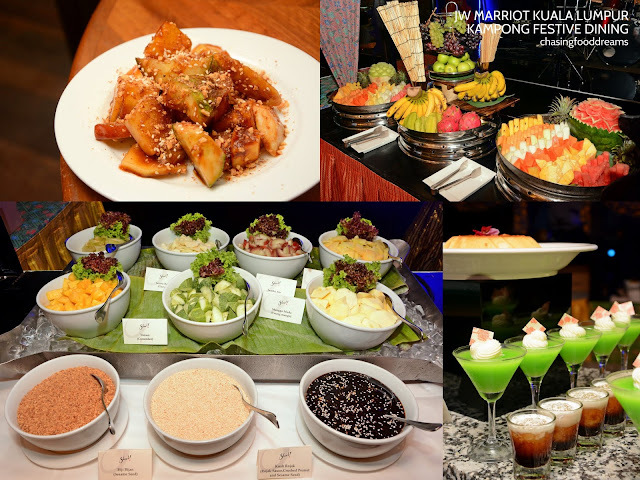 Guests are invited to experience yet another well-loved Malaysian culture of appreciating and sharing exceptional food with family, friends and colleagues from May 27 to June 24, 2017 from 7.00 pm to 10.30 pm. 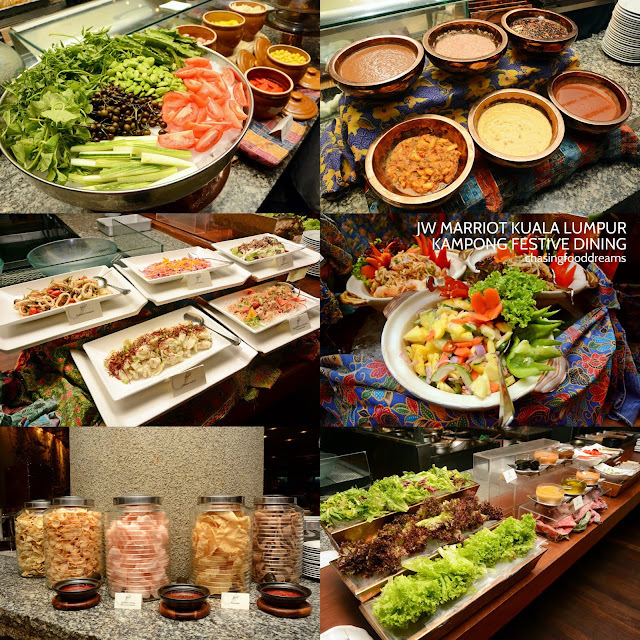 The buffet is priced at MYR98 nett per person. For reservations and enquiries, please call +60 3 2782 9099 or email festivebuffetpromotion@ytlhotels.com.my for an authentic kampong dining experience this festive month.